Cisternino is located on the last corner of the southern Murgia at an 'altitude of 394 m above sea level and overlooks the Itria Valley and the Trulli Valley. In the village there are craft workshops that produce wood and stone masterpieces. The purely agricultural economy is based on the cultivation of olive tree whilst in the last years the catering and the hospitality trade, have developed significantly. In the Summer Season, the village is crowded with tourists present in the seaside resorts nearby, but also by residents of the nearby regions, all attracted by the beauty of the location. 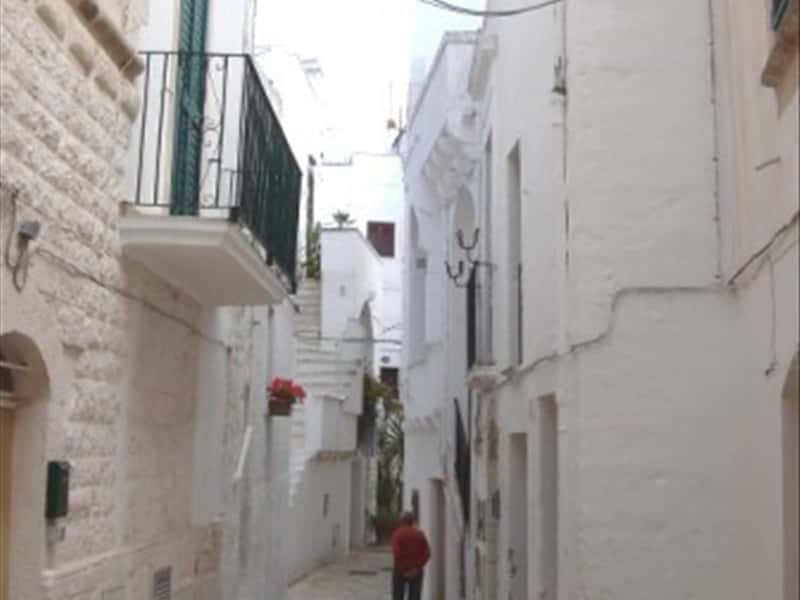 Cisternino presents itself with the white façades of its houses, with its narrow streets, with its streets paved with stones (chianche), with its charming courtyards. The town returned to life in VIII century, when the Byzantine monks, refugees from Byzantium, decided to build on the ruins of old settlement, a Greek Orthodox abbey, around which developed the new town and called it Cis-Sturnium (this side of Sturnium). The Church of St. Nicholas, known as the Mother Church, built in XII century, rises on the foundations of an ancient Basilian abbey. Other highlights include the Norman tower built in the XI century, the Bishop's Palace with its late Renaissance façade of 1560. This town web page has been visited 18,953 times.